To say that I couldn’t wait to see this movie is an understatement: ever since the trailer was released a few months ago “Super 8” smelled like the best Spielberg with whom I’ve been growing up during my childhood: it looked like a mixture of E.T, The Goonies, Poltergeist, Gremlins and all those Spielberg classics from the early 80s I used to love, but also it had something from Stand by Me, or It (a terrible movie but a great book). All the elements seemed to be there: the teens friends, the suburban environment, the secrets “grown-ups” are not supposed to know about, the bicycles, the fat kid, the bad US army, the single parents, even the same time period (1979) and the same style of cinematography (night-time flares on the lens) and big soundtrack (a rousing score, mixed in with gentle and intimate piano cues). But are all those elements enough to reach the perfection of films like E.T.- The Extra-Terrestrial? If you were cooking from a recipes book and you had all the right ingredients, would you still get it the cake right? You can easily guess the answer. J.J. Abrams is certainly a talented man. His TV credentials are some of the most solid ones of the last decade (Alias, Lost, Fringe), his Mission: Impossible III brought some credibility back to the franchise (and some pretty amazing action sequences), his Star Trek was not only very reverent to the original but also engaging enough for the newbie injecting some new energy on a series which was on the verge to becoming just about OK for the Trekkies out there. Unfortunately with “Super 8” that energy seems to have faded away a little. Despite all the good intentions and this being a sort of love letter to the Spielberg he too admired, J.J. hasn’t been able to replicate that sense of wonder and discovery, nor the exciting action and edge-of-the-seat thrills of those early classics. There are some really good scenes in the first act between all the kids (and some very good acting!) but after a while it all felt too much by-the-book and gave us nothing new or unexpected. It’s as if everything was a bit too calculated and clinical, even its sincerity and honesty and its well-observed sense of nostalgia (not just for the era, but for a certain kind of film-making) was not enough and never really went beyond the ovbious clichés you would expect from this sort of story. The kids did everything they were supposed to, the army was bad as you would expect and it all worked as a well-oiled-machine. Even its film-making style, though handsomely made, wanted to ape those 80s classics so much that it in the end it forgot to give us the kind of magic those films were really great at: in the end I can’t quite point out a single memorable “cinematic” imagery or moment out of “super 8” (there was definitely no bike flying over the moon, nor mash potatoes shaped like a mountain but not even some classic line like “they’re here….!”). There was really nothing massively wrong with Super 8 (the film is well done, well acted, is even under two hours and I’m sure it will please most of the crowds out there), but sadly there was also nothing original or surprising either: even the big monster, so much teased throughout the whole movie, once it’s finally revealed cannot be anything else but disappointing. But most crucially the film seemed to lack that humour films like Stand by me or even the Goonies had. Maybe my expectations were too high, but from a duo like Abrams and Spielberg I wanted something a bit more than just a half life-less homage. 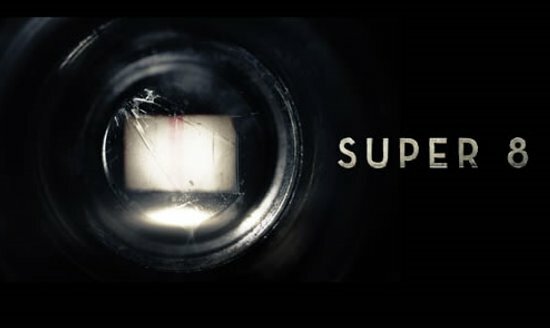 I caught Super 8 just a couple of days ago at my local theatre. I was also looking forward to this one a lot, especially since the trailers cleverly didn’t show what was really behind all the mystery in Lillian, Ohio. I enjoyed Super 8 for what it was, but I agree with several of your points too, namely that it feels less noteworthy than it probably should have been as a collaboration between Spielberg and Abrams. That being said though, it still stands tall in a Summer of sequels and franchise films (I don’t hate sequels and franchise films by any stretch, but one certainly wouldn’t call them “original” in most cases), and I think it deserves to be appreciated as such. I thought the final twists were cool, and I enjoyed both the child and adult actors immensely. Super 8 may not be a classic to stand with E.T. or The Goonies, but I still think it deserves a movie lover’s respect for daring to stand as its own vision, especially with this particular Summer’s rampant sequelitis!